For a successful skiing holiday, rent the accommodation to Méribel which is situated in the mountains Northern Alps, Savoie. This skiing resort is well known for its beautiful surroundings and breathtaking landscape. 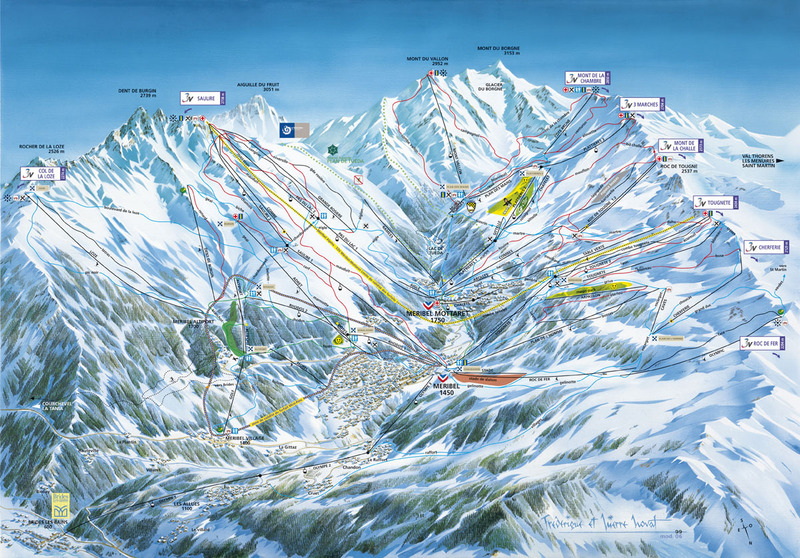 Booking to Méribel is easy and convenient and can be done either by phone or via our website. Each accommodation shown online is available for rent, just select the date and start date of your holiday at to Méribel to find out the cost. Don't hesitate, now is the time to ski ! The Residence La Tougnète is located in the centre of Méribel, about 50 m from the ski-bus stop (free service) and 150 m from the ski slopes. Méribel is part of the Three Valleys ski area. The residence Le Cristal, with lift, is situated in the center of Méribel resort, 250 meters from the ski slopes and close to all amenities. At your disposal: TV, garage, ski storage, bed linen included except short stay. The residence Grand Tétras, with lift, is situated in Belvedere area, next to the ski-bus stop (free service) and only 50 m from the ski slopes. In this residence, the animals are not allowed in the apartments. The residence Grand Sud, with elevator, is situated in the Plateau district, at about 200 m from the ski-bus stop (free service) and at 250 m from the ski slopes. The Residence Le Troillet, without lift, is located 250m away from the ski slopes and close to the shops in Méribel. A free shuttle service is available to take you into the centre of Méribel where you will find an ice rink, a swimming pool, a bowling alley and a climbing wall. Méribel is part of the Three Valleys ski area. The residence L'Edelweiss, with elevator, is situated in the Centre district, on the ski slopes and at about 200 m from the ski-bus stop (free service). 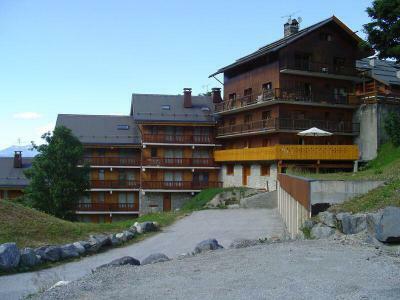 The Residence Les Dryade is located in the Le Plateau area of Méribel, next to the ski-bus stop (free service) and about 250 m from the ski slopes. The residence has a lift. The residence Les Merisiers (with lift) is situated in the district of Le Plateau, Meribel, Alps, France, about 50m from the ski-bus stop (free service) and 100m of the ski slopes. A balcony or terrace as well as a ski locker are available in all studios and apartments.